Many of us are used to the taste of chlorine in our water. In fact, we might not even notice it because it’s been added to our tap for years. But for people in developing countries who are unfamiliar with it, the taste of chlorine is foreign, and can even be frightening. This poses a problem for emergency crews who use chlorine to treat local water supplies following disasters to ensure it’s safe to drink. 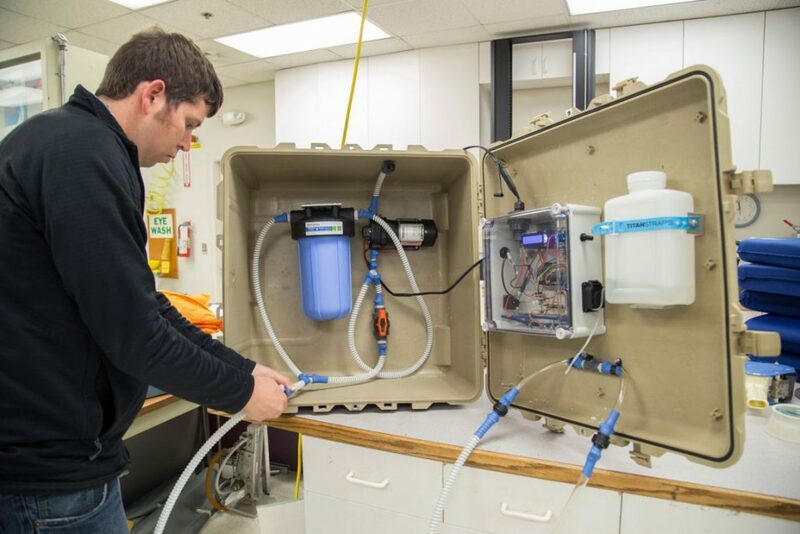 To ease these tensions, the U.S. military turned to MSR, the leader in backcountry water treatment technology, for a device that could remove the chlorine taste before the water is distributed to the local communities in need. MSR is currently refining a prototype of the device. Using their expertise in chlorine, the MSR R&D team created a comprehensive water treatment system: It begins by dosing the water with chlorine to kill pathogens; then, just before the water is dispensed for drinking, it removes the chlorine taste to make the water palatable. 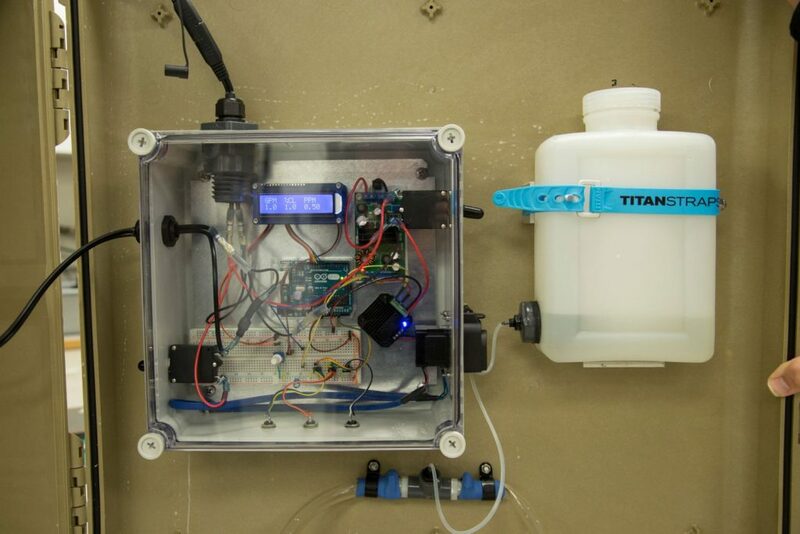 As water flows into the device, a microprocessor calculates and adds the appropriate chlorine dose based on a few factors: Operators tell the computer the flow rate of the water, the concentration of the chlorine they’re adding, and the level of chlorine they want in the output water. Higher concentrations are dosed for higher risk water. From there, the chlorinated water enters a storage tank until it’s needed. This system allows crews to make large volumes of water to have at the ready. The chlorine keeps the water disinfected while it sits in the storage tanks. When crews are ready to deliver drinking water to disaster victims, they’ll channel water from the storage tanks back through the device. This time, the water flows through a block of activated carbon that removes the chlorine. Crews can remove all of the chlorine or leave a small amount in. They do this by splitting the water into two channels—one flows through the carbon block, removing the chlorine; the other channel diverts some water so that it retains its chlorine residual. When the two channels rejoin, chlorine is present, but the taste is significantly reduced. A simple turn of a knob controls how much water is directed to each channel. This ingenious feature allows support crews to fine-tune the chlorine taste to a community’s taste threshold, all while keeping a small amount of chlorine in for safety in case the water is put in a dirty vessel or needs to be transported. To achieve its simple-to-use design, the system required complex engineering and computer programing. Still, many of its components are universal to make it versatile for disaster relief scenarios—when resources are scarce. For example, it uses simple garden hoses to connect to the storage tanks. 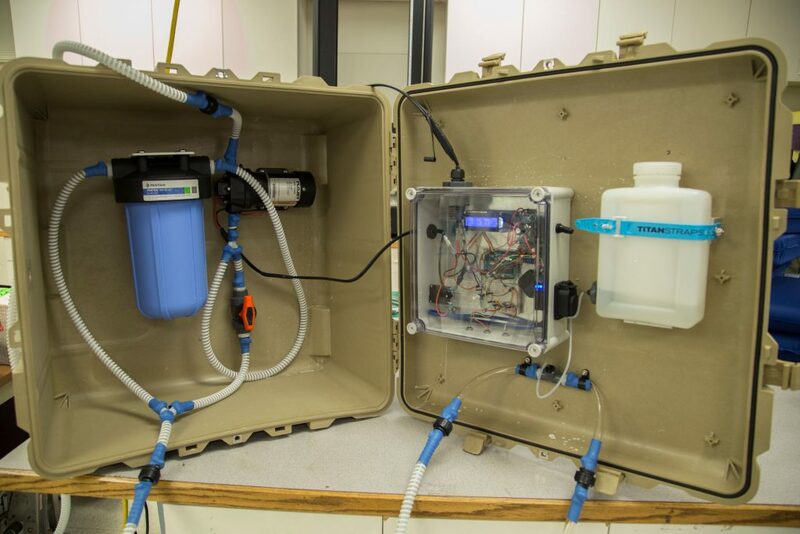 The system is also fast, delivering 3 gallons of safe, drinkable water per minute. It’s designed to provide safe drinking water for up 1,500 people in the wake of a disaster.  The MSR team has delivered an alpha prototype to the Technology Experimentation Center and is awaiting feedback. Recently a small team conducted field testing of the device in simulated disaster scenarios in Thailand through the Pacific Command’s Crimson Viper Field Experiment program, which assesses new innovations. Our team is excited to continue progress on this early-stage treatment system and to witness its potential for bringing safe water to those who need it in the most challenging of times.